Become Career » How Do You Become a Realtor? While you can work as a real estate agent without being a Realtor, many agents want to become a Realtor and increase their sales. A Realtor is a member of the National Association of Realtors, which is an organization that offers benefits and additional training opportunities for registered members. Before you can join this organization and get approval to work as a Realtor, you need to become a real estate agent and go through several additional steps. 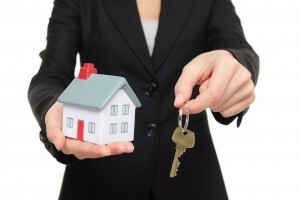 The first step in becoming a real estate agent is the successful completion of a real estate training program. These programs are often available through vocational schools and community colleges. Keep in mind that many states require that you are at least 18 before becoming an agent. While you might complete a training program in high school, you cannot get your license unless you are old enough. Some states require that you go through a training program that lasts between six months and a year. Other states ask that agents complete an associate’s degree at the community college level. Even after completing a training program, you cannot become a Realtor. You will need to find an agency, firm or broker willing to work with you. The first few months that you spend working there is a type of on the job training. You’ll shadow other agents to see how they show homes, what happens during meetings with those selling their homes and how they advertise online. Some agencies will require that you do certain jobs like taking photographs of a new home or listing a house for sale on its website. You typically need at least six months of experience working for an agency before you can get your license. The only way you can meet with clients on your own, sell homes and make a commission on the houses you sell is if you have a real estate license. The way you go about getting your license varies between states. You usually need to have some type of degree or show that you took classes on topics like selling homes, client confidentiality and home insurance. Some states may require that you pass a background check as well. While some convictions like a DUI may not disqualify you from getting your license, some states won’t let felons and those convicted of violent crimes to work as an agent. According to Investopedia, only those who are members of the National Association of Realtors can become a Realtor. Also known as the NAR, this organization requires that you work for a brokerage firm that has a connection to the NAR and that you attend regular meetings hosted by a local branch of the organization. Those meetings provide you with tips on selling homes, offer advice on advertising to reach more clients and give you the chance to meet and greet with other Realtors working in your city or state. A Realtor is a real estate agent who is a member of the National Association of Realtors. These agents have access to more resources and can market themselves as licensed Realtors. To become a Realtor, you must become a member of this organization after meeting all the steps associated with becoming a real estate agent.